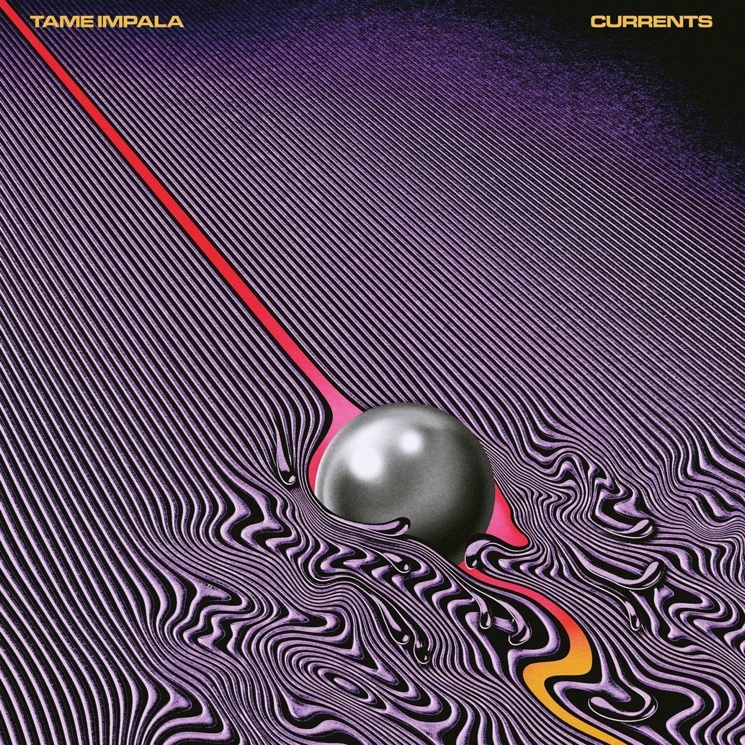 We already knew that Aussie psych masters Tame Impala were plotting an album for this year, and having premiered a new song a few weeks ago, they have now confirmed the title of the LP: Currents. The band announced the news on Facebook, posting the cover artwork (above) along with the caption "LP3." Beyond that, no details have been officially confirmed, although presumably the collection will include the track "Let It Happen." We don't yet know the release date, so in the meantime, see the band's tour schedule below. UPDATE: A press release confirms that "Let It Happen" is indeed on the album. Additionally, listen to the slow-grooving psych-soul single "'Cause I'm a Man" at the bottom of this page. Currents is the follow-up to 2012's beloved Lonerism.